A visit to Acre is part of the Israeli experience. The city is a meeting place for East and West, new and old, beauty and ruins, all adding to its uniqueness. The variety of tourism sites make Acre a bustling city full of cultural events, and there is another interesting adventure or attraction around every corner. Acre was one of this region’s important cities in ancient times. Various cultures made their home here, the Crusaders captured it and the Ottomans lived here for many centuries. Even Napoleon Bonaparte tried to lay his hands on Acre and conquer it, but after two months of siege and failed attempts to storm the city’s walls, he retreated in humiliation. Whenever I am in Acre I take a slow walk throught the Arab Market. It is a culture shock for our supermarket and mall generation. The colors, fragrances and varieties of food are 3-D Reality. 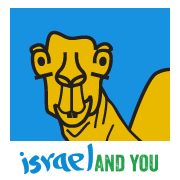 The designs, tastes and trade marks represent both Israeli consumer industry and the unique Israeli Arab products. Want to smoke a hookah or nargillah? Have you ever sipped fresh sugar cane juice? Test this in The Acre Market. Here you can purchase a Moslem religious cap or a belly dancer costume! That’s an Arab market.